Few people are alive today who would remember when wild turkeys teetered on the edge of extinction after almost being eaten into oblivion. But how that fate was avoided represents what is considered by some to be the greatest conservation success story in American history. Prior to the arrival of European colonists, there were believed to be about 10 million wild turkeys inhabiting nearly every corner of what is now the continental United States. The birds, found only in North America, were so common, in fact, that settlers who hunted them thought they'd never run out. "Turkeys were plentiful; it seemed that there would be an endless supply," Tom Hughes, a wildlife biologist with the National Wild Turkey Federation, told The Dodo. "That led to a lot of exploitation over the years, including completely unregulated hunting. It was always open season on turkeys, and there were no bag limits - no nothing." Not surprisingly, given that mind-set, as the country grew and the population expanded westward throughout the 19th century, the iconic American birds began to disappear at an astonishing rate. Coupled with being hunted at every opportunity, turkeys' wild habitat in the previously untouched forests were cleared to make room for ranches and farmland, furthering their dramatic decline. Still, the misconception that America's turkeys were plentiful continued long after they ceased to be, and it proved nothing short of devastating. In only a few generations, the birds were reduced to just 2 percent of their original numbers. "From a population of 10 million, we got down to no more than a couple hundred thousand continent-wide by between 1910 and 1920. Some accounts will put it lower than that," says Hughes. "Turkeys were extirpated from 16 to 18 states from their original range by the 1930s. Where they were abundant, there were now none. In the field of wildlife biology at the time, there was a lot of concern that they would go extinct." And wild turkeys may very well have gone the way of the dodo had it not been for the serendipity of a national crisis - the economic collapse of 1929. "With the Depression, a lot of rural residents, mostly small farmers, had no market and had no jobs, and they abandoned their farms and moved to the city," says Hughes. "The areas they abandoned then reverted back to native habitat where turkeys started to regain a toehold." But by the time those factors which led to their decline had eased, the wild turkeys who remained were so few and fragmented that their resurgence was still unlikely. 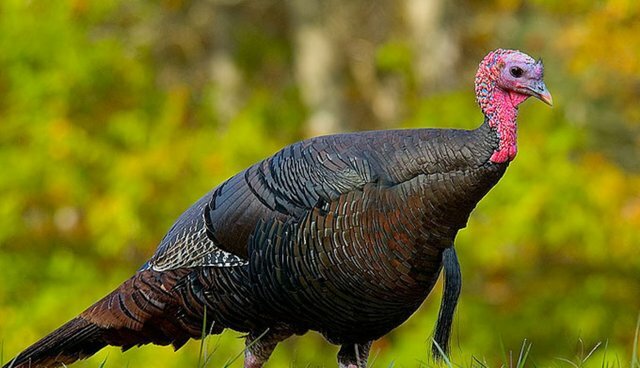 "The problem was, as the habitat was reappearing, there were only a few places that still had turkeys, so the natural progression of them spreading to their former range was really slow. It was sort of a trickle instead of the flow," says Hughes. "Biologists at the time thought to relocate the few remaining turkeys to repopulate the places where they no longer existed." Catching turkeys to relocate them to new areas was far easier said than done, however. 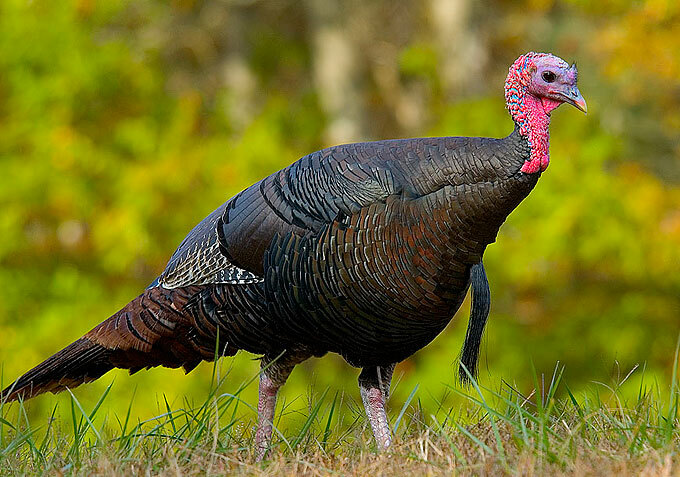 Wild turkeys are very difficult to catch, Hughes says, and the small percentage that still existed were particularly savvy at avoiding attempts to trap them as rare survivors of their kind. "So, the thought was to gather some eggs from the nests of wild turkeys that could be found, hand-raise them to be as wild as possible and then release them to restore the population. Some states spent a lot of time and effort on that in the 1940s and '50s. But it was a dismal failure. It didn't work at all," Hughes says. "No populations were really ever established through that route. The reason for that is that these turkeys did not have the benefit of growing up under the direction of a wild hen, so they didn't know what to do. They didn't have any instruction on how to survive in the wild." In the 1950s, a technological breakthrough - the net cannon - was instrumental in saving wild turkeys in America. Suddenly, biologists had a tool with which to capture mature turkeys for release. "With that, the restoration of wild turkeys was off to the races," says Hughes. "The National Wild Turkey Federation was then established to help transport turkeys from state to state. We funded the transfer of turkeys from ‘have' states to ‘have-not' states - and that's what brought the recovery full circle." And their recovery has been nothing short of amazingly. A little over a half-century after nearing extinction, there are now nearly 7 million wild turkeys in America, thriving anew all across the continental United States. But Hughes says that, given the predominance of nonnative domesticated turkeys (which are derived from a subspecies originating from Mexico), many people might not realize how close America's wild turkeys came to disappearing. "It may simply be that, for the urban dweller and the average U.S. citizen, this wasn't on the radar. For a lot of folks, the only turkeys they think of are farmed turkeys. They may not have even been aware that there were wild turkeys and the plight that they suffered." But for Hughes, to not know about the decline and recovery of this most iconic of birds is to be missing out on one of the nation's most remarkable achievements. "The recovery of wild turkeys is America's greatest conservation success story," says Hughes. "It's really hard to think of another that would be greater."